Back to school season is here and it’s time to stock up on school supplies. Of course you’ll need pens, paper, and binders, but don’t forget to grab some gear that will protect your tech and make your school year awesome. Heading to school or college this fall? You’ll want all of this. Whether you’re picking up a new Note7 or have an iPhone that needs some love, a new CandyShell case will keep it safe and stylish all year long and beyond. Take notes is less dull when you actually like your notebooks. We like the Mead® Metallic Dipped Notebook from Target and Blue Mountain 3 pack of notebooks from Word. Notebooks. Upgrade your brown bag to one that’s reusable and keeps your lunch cold. Grab this Luckies of London Brown Paper Lunch Bag from Amazon. Our SeeThru Macbook case protects with plenty of style. Better safe than sorry, especially when you’re just trying to study in the library. Try the Sendt Laptop Lock from Amazon. 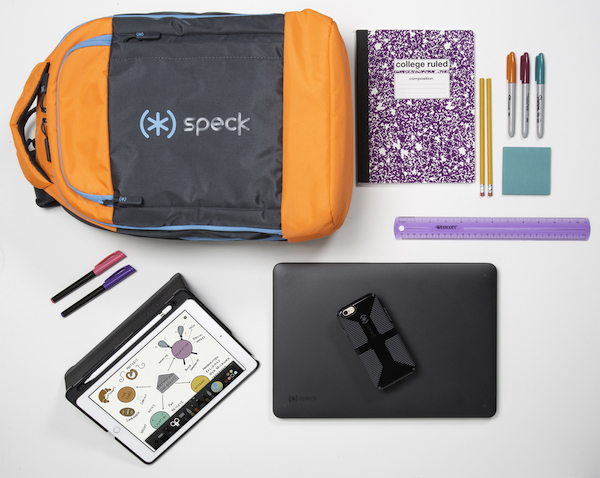 Kargo, Deck, and Stingray are perfect for school supplies and all of your tech gear. Flaptop for Macbook and Microsoft Surface Pro 4 uses an innovative closure without zippers or magnets to keep your laptop safe.